Jonathan was a great dancer but I suspect he was in it for the outfits. 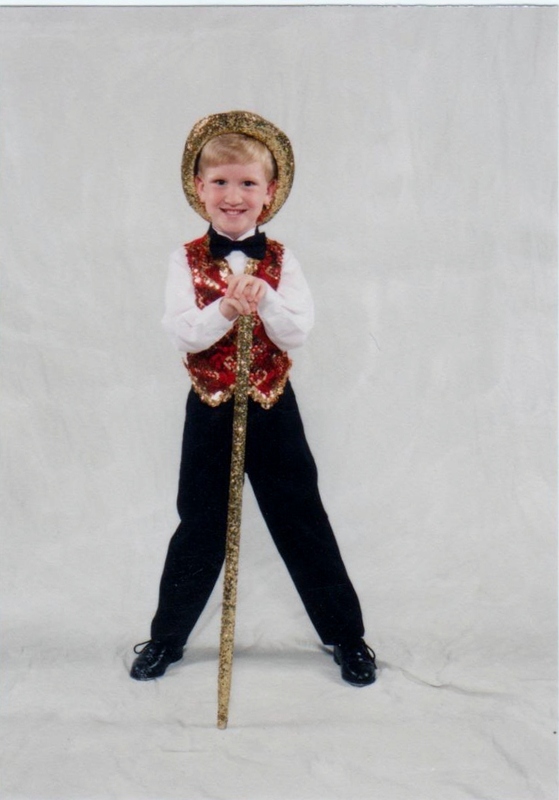 When our son was about five years old we signed him up for tap dance classes at the Cole Dance Academy. He was really into Savion Glover who was big on Sesame Street and it was good for his coordination, or so we were told. But somewhere along the line, the instructor lost sight of the kids and their program and roped in the dads. They had this great idea: What if the boys and the dads dance together in the final show? That idea sounded perfect to everyone but the dads. They forgot that we didn’t sign up as a team. This is for the kids. They are the ones who needed the activity, help with their coordination and rhythm. I grew up in the age of Disco. I didn’t need help with my rhythm. 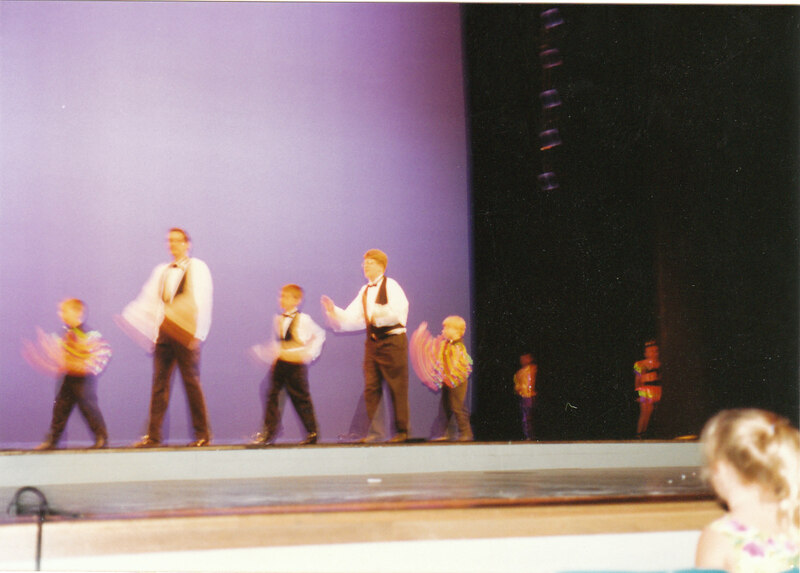 Besides, you weren’t going to strap a pair of tap shoes on this guy and shove him out onto the stage! Unfortunately, we were over-ruled by the mothers. The song, “Everything Old is New Again” was selected. The instructor choreographed a cute little number that involved the dads and the boys dancing beside, behind and in front of one another. And there was no getting out of it. Please understand that I’ve been on stage many, many times. I’ve spoken to crowds in the thousands without any problem. But TAP DANCING? Are you serious? I was terrified. So, in preparation for the big night, we practiced for hours and then practiced some more. We bought special taps to nail into the bottoms of my shoes. I rented the outfit and practiced some more. And on the night of the performance, I straightened my bow tie, laced up my shoes and stood next to my son who was much more confident that I.
I gave Jonathan a reassuring smile and then the music started. Together, we entered, swinging our arms and tapping our toes to the beat of the music. And I don’t remember anything after that. It all goes black. I’m told that it was a great hit with the audience. I really don’t know. I just know that even typing with the tapping sound of the keys ringing in my ear, I’m experiencing a horrid nausea to the pit of my stomach. The memory has caused me to become light-headed. The thought of that night has caused my lips to go numb and my arms to ache. My son dropped dance class shortly after this performance. And I can’t say that I blame him. But don’t worry…We worked on his rhythm using my 8-track tape of the Village People in the comfort and safety (and solitude) of our living room. Now THAT’S music to dance to! Thank you Curt! You guys WERE a hit! I think you fathers were actually my most attentive and disciplined students of them all. I constantly heard stories of dads practicing at home before work, etc. It paid off because it was one of most well received numbers I have ever choreographed. Thanks for the memory. It made me smile.